Scientists at Duke University recently revealed a gene variant known for affecting cholesterol levels might also increase the risk of typhoid fever. While this is certainly not good news, it was also found that cholesterol-lowering drugs, such as Zetia (ezetimibe), could help protect against typhoid fever as well. The recent research results were published in the Proceedings of the National Academy of Sciences. Scientists were using zebrafish for their study and plan to use the approach they applied to different model organisms, such as mice. The study highlights several possible ways to protect people who are more vulnerable to certain pathogens like the Salmonella bacteria, which use cholesterol to infect host cells. The study not only revealed new information on potential ways to fight disease, but has also resulted in a blueprint for combining various techniques to help researchers uncover why some individuals are more likely to contract certain diseases than others. One of the most famous examples of this is Typhoid Mary, an Irish immigrant that spread typhoid fever to over 50 people throughout New York City but was immune to the disease herself. To determine why this was the case, the scientists used hundreds of cell lines from healthy subjects and exposed them to the same dose of Salmonella typhi. They visually tagged the bacteria and then searched for genetic differences to identify cells which had higher rates of bacterial invasion. This allowed them to identify a single nucleotide of DNA in the VAC14 gene, which was determined to be associated with the level of bacterial invasion in cells. When they knocked out this gene, they found the cells were invaded more effectively by the bacteria. Additionally, they found cells that were more susceptible to infection had higher levels of cholesterol. 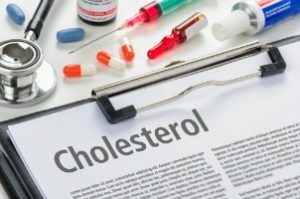 New findings revealing that higher levels of cholesterol could increase the risk of disease could mean that cholesterol-lowering drugs may protect against certain diseases. For the latest health news, be sure to visit us at The Benefits Store today.